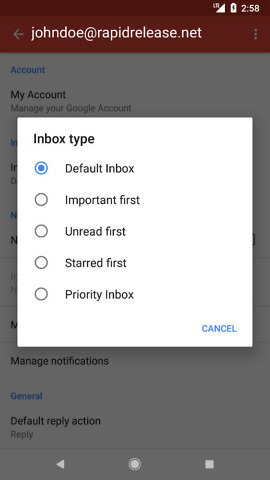 On the web version of Gmail, users can specifically choose how they want their inbox to act. For example, you can opt for seeing unread messages first or even starred messages, but the Gmail app for Android has never had this ability. 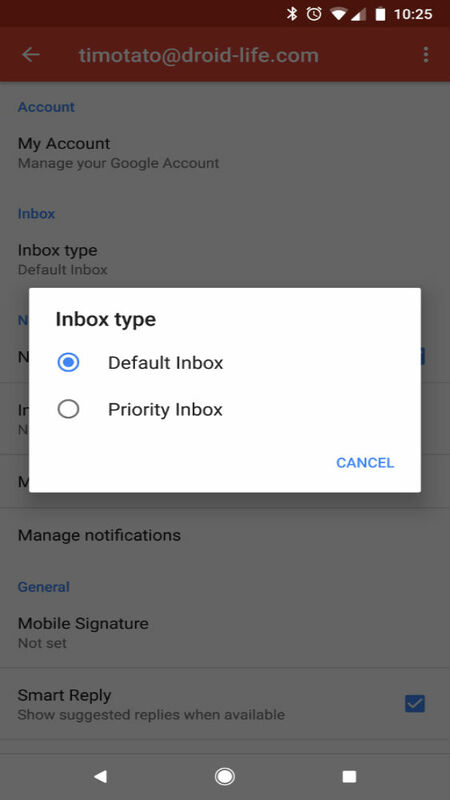 Thanks to an update that should be rolling out starting today, the Gmail for Android app will support Inbox types. With this, instead of the two options we have (Default and Priority), we’ll have five options, just like on the web. 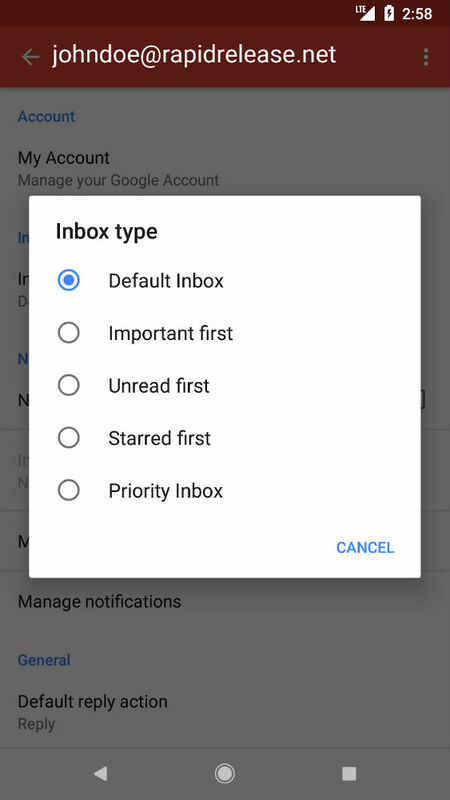 There is the default inbox, Important first, Unread first, Starred first, and Priority Inbox. Google states that it could take up to 15 days to see this hit your device, so be on the lookout.